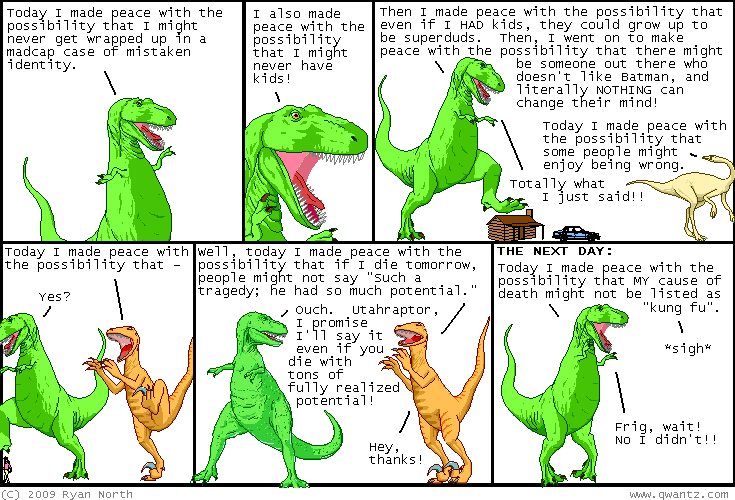 Dinosaur Comics - November 30th, 2009 - awesome fun times! November 30th, 2009: Here are some links I assembled for you guys! I drew some Guest Rikers for everyone's favourite Commander Riker blog! I had fun times with Jeff and Holly over at Overcompensating! I am reminding you of how Dinosaur Comics stuff makes great presents for people you love and EVEN people that are just pretty okay! I am also reminding you that the USPS International (Non-US) Priority Deadline for ordering this stuff is December 8th! This concludes the links I assembled for you guys!